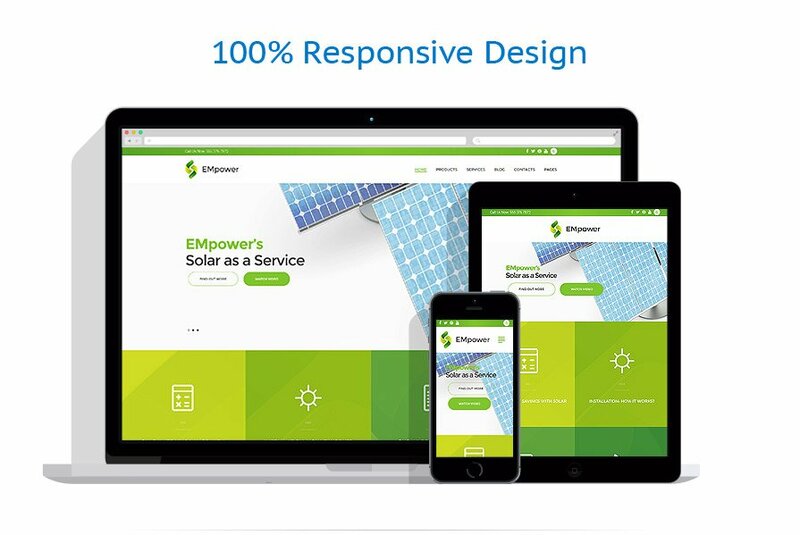 EMpower is a fully responsive, GPLv3 licensed Solar & Renewable Energy WordPress Theme. This modern WP design has a great deal of amazing features, starting with a unique drag-and-drop page builder and ending with a set of custom widgets. Your online business will be a huge success if it’s built with this SEO-friendly WordPress theme. Please email to [email protected] with your inquiries about Business Firm WordPress designs.